The price of consciousness, of power, is choice. Mathematician Alan Turing is remembered as much for his critical role in the development of computer science , his contributions to code-breaking during the Second World War and his work on artificial intelligence as for being a man whose homosexuality led to a charge of gross indecency and a period of enforced chemical castration. His life has been examined in print and film, his character analyzed and debated, and his death mythologized, but to truly venture deep into the recesses of the mind of such a complex and extraordinary character is to invite challenge, scrutiny and dissension. After all, what can we ever truly know of another person’s internal processes? Or, for that matter, our own? In his latest novel, Murmur, British writer Will Eaves takes the key elements of Turing’s career and ultimate predicament, and creates a shadow character, Alec Pryor, slips inside his skin and inhabits his dreams and anxieties while the state takes control of his body. This audacious approach stays close to the outlines of Turing’s life, even borrowing first names and specific details like his fiancé or his fondness for Snow White, but avoids the constraints of conventional biographical fiction. 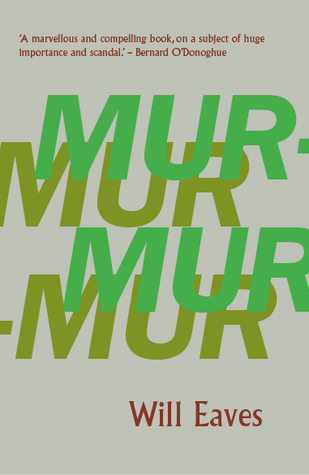 Presented through journal entries, letters and a feverish dream chronicle, Murmur offers a poetically charged reading experience that is at once scientifically astute, philosophically engaging, and emotionally disturbing. It imagines a rational minded man pushed beyond the edges of rational existence who still manages, we assume, to hold the surface still, controlled and humane. So much of real life is invisible. The novel begins with Pryor’s recorded reflections on the circumstances that led to his charge and conviction, his dalliance with a young man and subsequent reported robbery echoing Turing’s misadventure. Choosing one year’s probation with hormonal treatment over jail, he begins therapy with a psychoanalyst, Dr. Stallbrook, and weekly injections to turn him “into a sexless person.” Analytical by nature, he cannot resist the temptation to filter his situation through scientific, historical, and philosophical musings. As if he wants to quantify a situation that clearly has left him concerned and uncertain about what lies ahead. I am a thinking reflection. He is the animal-organic part, the body unthinking. I am a searching mechanism with a soul. I’m him, but only when he’s near the glass, metal, water, the surface where I’m found. I search for some way to express this separation which feels all the wrong way round. A bird is puzzled by its reflection; not, surely, the reflection by the bird. And yet I’m one with him. I’m one and separate. I search for ways to describe this. I live and think within all glass. He only has a body and can’t hear this murmuring; sees himself in a mirror—doesn’t know that it is me. From his detached vantage point, the dreaming Alec revisits his younger self at school, observes a schoolmate whom he once loved, and watches as the two boys swim naked across a lake where they will spend a night together. This other boy, Christopher, has a counterpoint in name and fact in Turing’s biography, a close friend and object of an affection most likely unreturned in the same nature. In both realities, Christopher dies young. But in Alec’s dreamscape, his psychiatrist is conflated with his former schoolmaster, and his friend’s post corporeal essence becomes an abiding presence. His intellectual preoccupations, such as the limits of machine intelligence are personified in bizarre interactions with a real life associate who visits him as a computational illusion. His mother and brother appear as cartoon effigies straight out of Snow White. By opening this vast and increasingly distorted space where, as is common in dreams, people known and events experienced become the scenarios that are continually replayed in response to current waking affairs, Eaves is able to twist Alec’s past and present together to create a complex, introspective character who is both troubled by and curious about the impact of the unnatural situation in which he has found himself. My dreams are candid with me: they say I am chemically altered. They are full of magical symbolism! At the same time, they are enormously clear—where there is high reason and much thought, there will be much desire and many imaginings. Urges. I can be given drugs and hormones but they will only work as drugs and hormones work. They cannot get at excess desire. Take out libido and another drive replaces it. Materialism and determinism define me through and through, and yet there is more than they allow. And if that illusion of more—call it free will—is itself a mere effect, then an ‘effect’ suggests, does it not, a real cause, as a film ‘suggests’ a projector? Balanced against this projected, or perhaps, “reflected” reality, Alec’s correspondence with June provides a safe place for him to explore his physical and existential uncertainties. She serves as confessor, sounding board, and unconditional support. Early on, especially as the hormones begin to soften and alter his body, as the estrogen causes his breasts to grow, he expresses fear of becoming a hybrid—less the fear of change than of loss. He grieves his past, his one true, yet quite likely impossible, love for Chris, and worries that he will somehow lose himself. The lake freezes. Ice calls to ice and Pryor’s raised and summoning hand is frosted black. No trees, no distant school, a greenstick whine as cities pop, scatter. Another order of significance arrives. Air thickens with the charge of glaciers. The former gas solidifies, the mirror plane of my glass eye is crushed and I am fractioned, like a mote among asteroids. Only the world’s ship-like trembling, its great pistons concealed, attests the passage of aeons, time brakeless and unpeopled. Then, as fast as they arrived, faster, the glaciers recede, the waters rise, anoxic bile that boils away at Pryor’s still, unvoiced command—and I am either glass again, or obsidian, axe flint, my face upturned and refashioned. The veil of night drawn back. The sun comes close, colossal in the sky. A pale hand hangs me on a wall that rises from the desert’s fiery sands. There has been much controversy around the matter of Alan Turing’s death by cyanide poisoning a little more than a year after his hormonal sentence ended. Suicide was the official verdict; accident and murder have also been argued. The fortitude he is reported to have displayed throughout his ordeal, is offered as an indication that his mind was not as troubled as imagined. But, for Eaves’ shadow protagonist, there is both profound growth and insight as a result of his enforced period of introspection, and a fundamental internal loss of self that others cannot see. His perception of and relationship to his body is ever altered. Murmur is a bold, imaginative accomplishment—one that manages to convey the strangeness of conscious experience while asking what it truly means to be conscious, pushing at the edges of its limits and constraints. 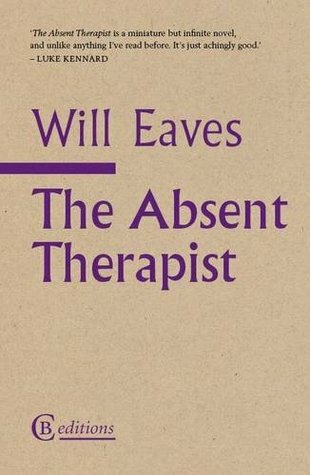 It is, in many respects, a natural evolution of Will Eaves’ experimental novel, The Absent Therapist, a fragmented blend of scientific fact, philosophical reflection and fictional vignettes that read, not like snatches of overheard conversation, but as fleeting encounters with the thoughts of a wide range of characters. Murmur pulls you deep into the mental reality of one man whose rational and logical grounding is upended, but this time the therapist is present and inseparable from the subject. However, as much as this is a novel embedded in conscious experience, it is a memoir of the body and its essentialness to being. It asks: Can a machine be encoded with emotional intelligence? What happens to the substance of the body after death? What of the self is lost or altered when the body is rendered sexless? No matter how cerebral one may be, the body matters. In my own, long-standing, welcomed and self-administered treatment with contrasexual hormones, I have experienced an evolving disassociation from the altered body I now inhabit. Yet, at face value, I look right. I am afforded the ability to live in the world in a manner that conforms with the internal gendered self I’ve always known. In a way that feels right. But I am changed. My body is othered and alien, de-sexualized. Over time that disassociation feeds existential discontent. Threatens the self in weird and curious ways I hear echoed in this book—a book which echoes my own murmurings. Murmurs by Will Eaves is published by CB Editions and shortlisted for the 2018 Goldsmith Prize. A North American release is forthcoming from Bellevue Literary Press in April, 2019. So I’m sitting here at looking at my copy of Liberating the Canon: An Anthology of Innovative Literature and feeling sick when I think about whether or not I can, or should, write about it. Which makes it sound like I did not enjoy the book. Or that it is not worth reading. I did. And it is. If there were a literary avant-garde that were relevant now, it would be what the queers and their allies are doing, at the intersections, across disciplines. This avant-garde would be inclusive, racially and culturally diverse, migrants galore, predominately but not exclusively working-class, transdisciplinary, (gender)queer and politically clued up (left). I like the sound of this. But is this what the queers and their allies are doing? Possibly. I am the ineptest (gosh I didn’t even know “ineptest” was a word, but Word suggested it and I kind of like it) queer writer ever because, off the page, queer is the loneliest reality I’ve ever known, and the many queer writers included here seem to have lives in which their queerness is essential, not accidental. And that makes me feel as alienated as my real life adventures in queer spaces do. I’m awfully pasty white and ordinary, and although my mother’s family were, at one time, potato famine refugees from Ireland, and I was not born in the country where I live, I am a migrant on an axis other than the here-to-there displacement in space. The only true migration I have ever made—the one that I am always making—is the one from female to male. And I am not even certain how to think about “working class.” If it’s about wage-labour, a blue- and pink- collar, and sometimes white collar existence, then for the exception of about one decade of my life, I’m your man. But I’ve always preferred to think of myself as under-employed, as if the status was temporary, collarless. Over-educated. Just barely keeping my head above poverty level. You know: What are you going to do with an arts degree? Or two? When things are good where I live, blue collar workers can haul in six-figure incomes. Classless, misfit, my work-life fits into no definable category. But, enough wound-nursing and equivocating. Back to the task at hand. To reiterate, the writing needs to work across various systems of oppression (intersectionality), across formal distinction (prose and poetry, critical and creative, and the various genres), and across disciplines. Same goes for publishing, editing, reading, referencing and designing curricula. Change literature (or what is defined as such) and the discipline will diversify. Diversify the discipline and the literature itself will change. Liberating the canon depends on inclusion and formal innovation in equal measures. The two are interrelated. And the question then becomes: Just how liberated is this canon? How much of a meaningful advancement have we made toward this ambitious goal by the selections gathered in this anthology? This canon still needs to be loosened a little further, I suppose. Or rather, the liberation is just starting. This book could be considered a primer. An Anglophone primer. 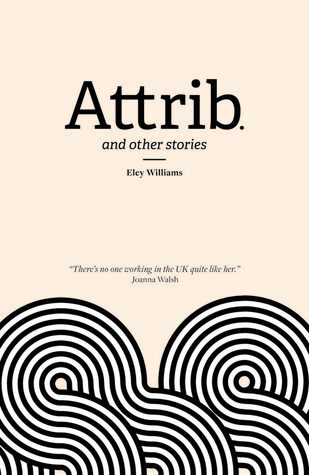 An anthology of primarily UK based writers with a few US contributors tossed in for good measure. How about round two? With a glance to Canada (where I am), Australia and New Zealand, South Africa, and desi (South Asian and diaspora) writers. Ah, one can dream. But if this book can exist, anything is possible. So, there you have it. I have written about Liberating the Canon without really writing about any of the varied pieces contained within. You’ll have to read it, if you dare. Or desire. Or are simply curious. 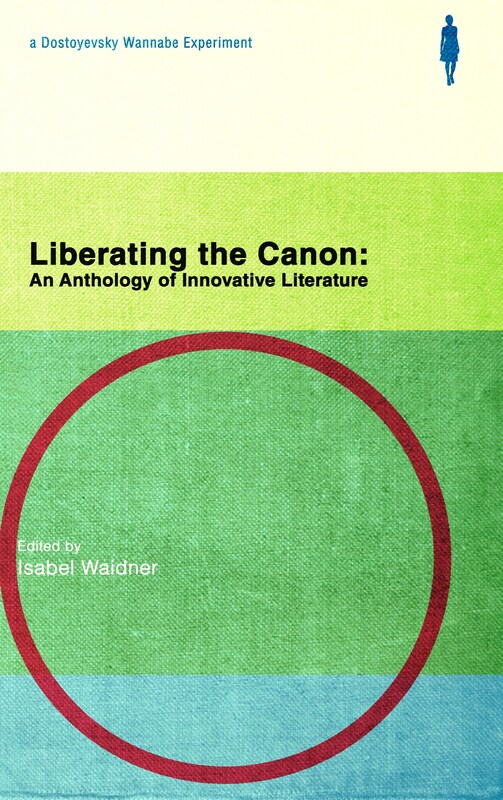 Liberating the Canon: An Anthology of Innovative Literature, edited by Isabel Waidner is available from your friends at Dostoyevsky Wannabe. To be printed at your pleasure, and obtained through a distributor like that place that starts with A. The cover of the book is simple. Pale yellow lettering across the horizon that separates a gray sky from the gray waters below. Vertigo. 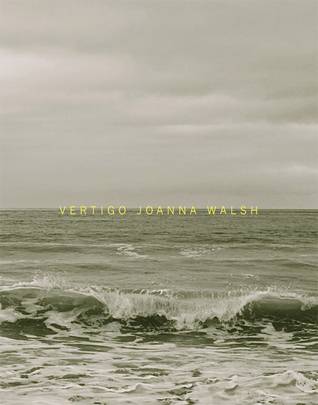 Joanna Walsh. Inside fourteen stories, elemental evocations of a woman’s existence, from the gently dissected vantage point of early mid-life, rolling out, reflecting back on one another, like waves lapping up against the shore. Emerging from the waters as the book draws to close, it is difficult to find words to encapsulate the experience of encountering this work. Throughout this spare collection, Walsh demonstrates a stunning ability to pinpoint the imperceptible, bring it to the surface and spin a story around it. Her narrators, who may or may not all be the same woman, perseverate, observe, double check and doubt themselves. They are acutely aware of their bodies: bodies that are aging. They are aware of their clothes, of how their clothes fit, how they arrange their legs, if the man at the next table has noticed their legs. They turn their focus inward to the very act of breathing – in, out, or barely breathing at all. They are mothers, they are wives, they are ex-wives, they are daughters. Perspectives shift, sometimes even within the frame of the same story. The title story, “Vertigo”, is the account of a family vacation. The narrator, her husband and children have travelled to an unnamed country to spend as little money as possible, time is the currency of the holiday. Vertigo, she tells us, is “the sense that if I fall I will fall not toward the earth but into space.” The drive up the mountain to their guesthouse with a drop off to one side of the road is the worst. During the day the family visits a tourist site, ruins where the temptation arises to remove a stone or even a piece of the rubble from the original structure. This stirs anxieties the woman recognizes as echoes of her mother rising through her and creating conflict with her own role now as mother to her children. Meditative, her thoughts roam with the sun drenched unanchored processing that we often fall into when removed from the routine of ordinary life. It feels as if Walsh has simply opened her hands to capture her character’s reflections and spilled them gently across the page. It is almost impossible to pinpoint how it works, but it does. “Among other middle-aged women I don’t look too neat, and this pleases me. I don’t want to say too much about the individual stories here. They are best encountered on their own terms. 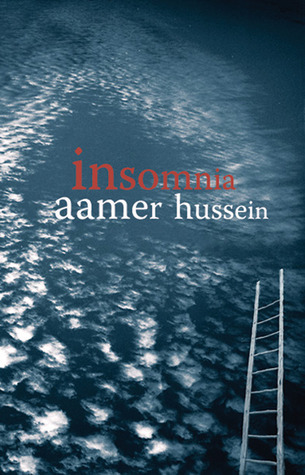 This is a book that invites a slow reading. It is not long, or difficult. But you want to savour each piece. This is fiction infused with fine imagery, charged with an electric current, shockingly alive to new possibilities of rendering the mundane exquisite. If you are not watchful it could leave you with a sense of vertigo. Or maybe that is the goal. Vertigo is published by the Dorothy Project in North America. The UK edition will be released by And Other Stories in 2016. Oh yes I thought, but then they gave me a designation and it made no sense. A-ha moments like this surfaced throughout my engagement with the slim volume that is Will Eaves’ brilliant The Absent Therapist. Deceptively simple, the fragmented pieces that form this most unusual, experimental, but achingly human novella are carefully crafted and finely polished moments in time. Described on the cover as a “miniature but infinite novel”, I found myself returning over and over to my favourite strands and marking them in the margins. Although some fragments appear to be linked or feature the same characters or themes, the overall experience is akin to floating through the ether, engaging momentarily with the thoughts, frustrations, memories, and conversations – internal or external – that swirl through the mind. Your mind. The minds of others. At times reflective and philosophical, at times obscure, at times laugh out loud funny (“I went to the Spanking Club once…”) these little pieces reminded me of the snippets of the stories we tell ourselves and others as we knit together and make sense of our lives. As we engage our own absent therapist. I had heard of this book, and am familiar with the author’s more conventional work, but when I saw it appear on a couple of the “best of 2014” lists of reviewers I particularly respect, I became desperate to get my hands on it. Not an easy feat since it is not available here in Canada (even though as readers we spend time on the west coast and Vancouver on this little journey of fragments). I ordered it from the UK and coincidentally it arrived earlier this week as I was out on my way to my very present and vital therapist. Rarely has such slight book offered so much, this is a company of voices to which the sensitive reader can return again and again. Relate to the lonely, commiserate with the angry, recognize the nostalgia expressed. Marvel at the philosophical musings, those poetic moments we strive to find meaning and guidance in, but that too frequently pass and get lost under the crush of everyday life. I would even dare the same reader to not mark favourites in the margin.